Hello lovelies! Happy 2018! I know I fell off close to the end of Blogmas, but as every holiday season things became incredibly busy and I felt that I needed to spend time with my family instead of holed up in my room working. I’m back and it’s time to share my empties for most of 2017. I know I had planned on doing one of these posts about quarterly, but I think in the new year I will do it whenever my bin fills up with stuff. Also to keep this post from getting ridiculously long, I’m going to break it up into categories. 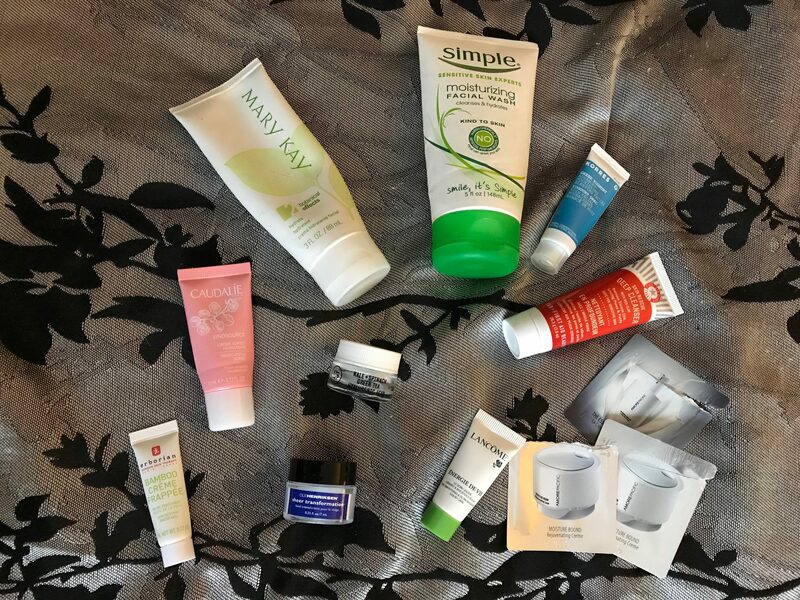 Today I’m sharing my skincare type empties and whether or not I will repurchase. 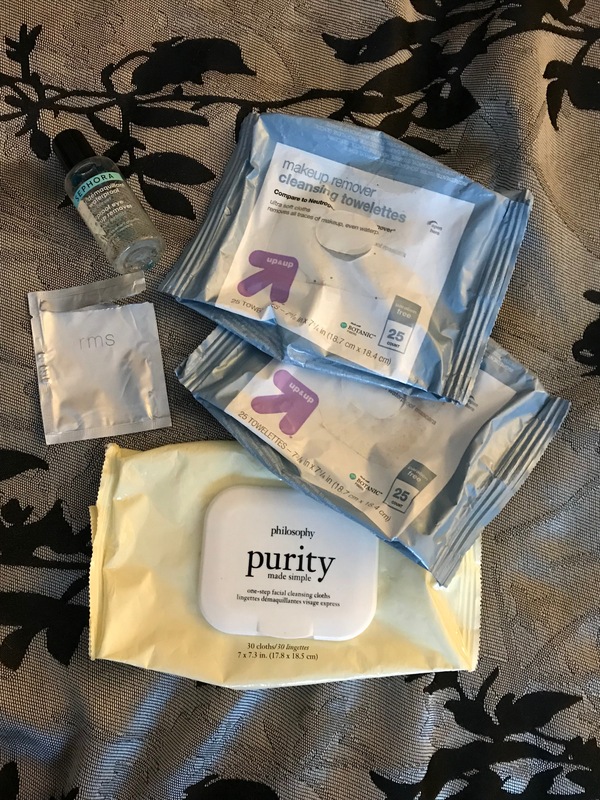 I got a couple of samples of the RMS beauty makeup remover wipe. What it is is a makeup remover wipe that is made up with certified organic coconut oil. The cloth is soft and doesn’t irritate or drag on the skin, and it smells amazing! This takes off makeup including waterproof mascara. When I feel the need to splurge on makeup wipes, I will definitely be purchasing these. I used up 3 of the Up & Up brand from Target makeup remover wipes. The first 2 packs I enjoyed the third package, I wasn’t blown away by. They say that they are comparable to the Neutrogena makeup wipes. I personally think it is worth the extra couple of bucks on the Neutrogena wipes. They work much better than the Up & Up brand. The Up & Up ones work in a pinch but I feel the need to scrub my face a little harder, which many of us do not want to do. The last two makeup remover type products are the Philosophy Purity made simple one-step facial cleansing cloths. I’ve talked about these before. I love them! I love using these after the gym to “wash” my face. I definitely will re-purchase these when I use up the other package that I have. Then there is the Sephora Waterproof eye makeup remover. I love this! I have another deluxe sample size that I’ll be using up, and will definitely repurchase. I used up 6 sample packets of the Lancome eye correction creme. I didn’t like this. It was too heavy and had glitter, that I could see after I put my makeup on. It also gave me those tiny, white milia bumps in my under eye area. This also made my eyes water, if I used too much. Another one that I will not be purchasing is the Caudalie Resveratrol Lift eye lifting balm. I liked this, but it irritated my eyes and I would have to wait at least a half hour to put makeup on to let my eyes stop watering. The next set of eye products are ones that I love and absolutely will repurchase. The Fresh Rose hydrating eye gel cream. I love this a tiny bit goes a very long way. My under eye concealer goes on so nicely and smoothly, definitely will purchase the full size. Next up is the Clinique pep-start eye cream. I’ve had this in my favorites before, and I absolutely love this for a daily morning eye cream. Will definitely purchase. Lastly, the Sephora collection eye masks, more specifically the Pomegranate eye mask. I love these and have repurchased a bunch of them. The first two items I wasn’t a fan of and just didn’t do much for me. The Korres Greek Yoghurt Advanced Nourshing Sleeping Facial. The scent is too much for me, and just too heavy for my skin. Next up is the Caudalie Vinosource Moisturizing Sorbet. The scent I didn’t like and it just didn’t do much for my skin. Next up there is the Amorepacific Essential Creme Fluid and the Moisture Bound. I liked them but I probably wouldn’t repurchase them. Also, items I probably won’t repurchase is the Mary Kay botanical effects step 2 hydrate, and the Erborian Bamboo Creme Frappe. The Erborian is a good product but I just probably wouldn’t repurchase. I really liked the Lancome Smoothing & Glow Boosting Liquid Care. I really liked this it was light and moisturizing; will repurchase. The Youth to the People Kale & Spinach Green Tea Hylauronic Acid moisture creme. I love this! I was blown away by this and will definitely will repurchase. Ole Henriksen Sheer Transformation facial creme. I love this and will definitely repurchase. I used this back to back with the Kale & Spinach and I felt that I had fantastic skin months! I will repurhcase! Last two items in this category is the Simple moisturizing facial wash and the First Aid Beauty Skin Rescue Deep Cleanser with Red Clay. I love both of these cleansers and I will repurchase when I’ve used up a few other cleansers that I have. The first product that I was just surprised and blown away by is the Estee Lauder Advanced Night Repair. I used this in the middle of the summer when my skin was consistently oily and I was sweating. This just did wonders for my skin the few times I was able to use this. When I’m able to I will be purchasing the full size of this. Next up is the Mary Kay acne treatment gel. I use this on any blemishes that I may get, and it helps get rid of even my toughest cystic acne. I’ve purchased so many of these tubes, this will probably always be in my skincare arsenal. Then we have the Clarins Mission Perfection Serum, which is a dark spot corrector. I feel like this somewhat worked for me but I feel like I need to use it more consistently and longer in order to really see the results. I won’t be repurchasing this. 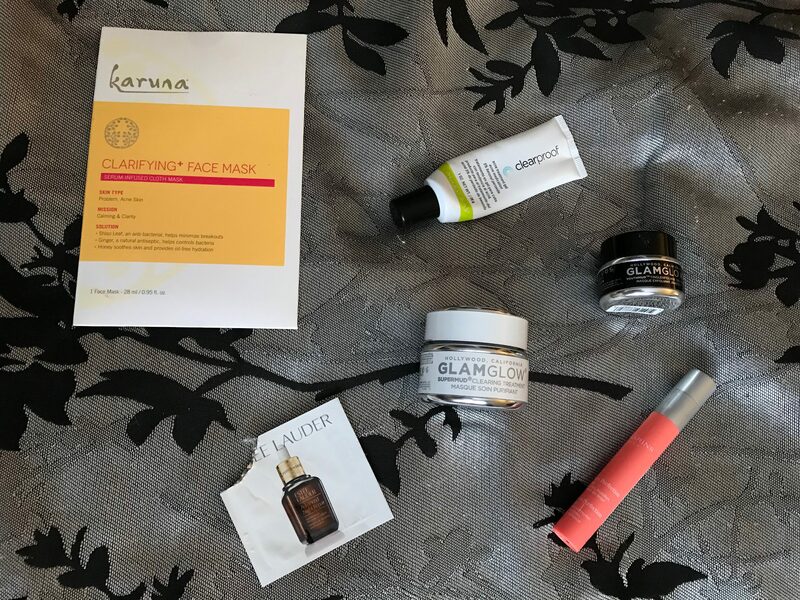 For masks, I’ve used up the Karuna Clarifying face mask. I didn’t see much of a difference which is hard to tell with a one time use sheet mask. I would consider repurchasing this mask and try it out again. Lastly I have used up the travel size of the Glamglow Youthmud Tinglexfoliate and the full size of the Supermud Clearing Treatment. I enjoyed both of these, however I wouldn’t repurchase the Tinglexfoliate mask, it slightly irritated my skin and I just didn’t enjoy the tingling sensation. The Supermud Clearing Treatment I would definitely repurchase. It is definitely worth the hype and the $68 price tag. That’s everything! All of the skin care that I’ve used up in the last 9 months or so. I hope you enjoyed this post. What products have you used up in the last year. 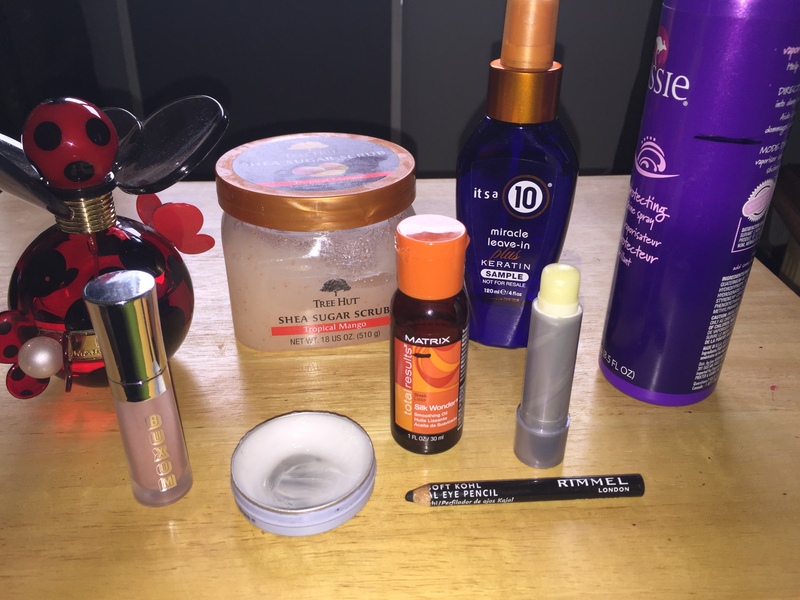 Anything that you would repurchase or maybe not? I hope you all had a wonderful Christmas and New Years. I hope that your 2018 is even better. Have a great day and I’ll see you in my next post. Hello lovelies! So today I’m giving you the last update on my Project Pan. Let me get the bad news out of the way first. I did not reach my goal of finishing 10 out of the 15 products that I chose. I believe that I chose too many challenging items to try and complete in the time frame that I gave myself. On the other hand I think I balanced it out with enough products that I would be able or should have finished. Although I was not successful, I learned a lot about the way I use items. I am looking forward to do many more project pans. So let me go through everything. That is everything! This brings my first Project Pan to a close. I hope you all have a wonderful weekend. See you in my next post! Hello lovelies! I know that this update is a little late going up but I wanted to update you all anyways. This will be short and sweet and I’m not going to go through every item. The only new item that I have essentially used up is my Blistex Silk n Shine Lip Balm. I have to use my finger now in order to get the product out of the tube. I could use a lip brush, but for a lip balm it just doesn’t seem worth it to me to do that. I have moved on to the Nivea Lip Butter in order to try and finish that as well by the end of the year. The next few items that should be done within this next month, the body scrub, which I feel is the never ending tub, the Clinique eye cream, and the Clarins Serum. Honestly, I don’t see my self finishing up any of my hair products or my perfume, but I have made quite a bit of progress with the perfume. I’m over the scent and have a list of perfumes that I would like to get and some samples I have received. I originally gave myself to December 5th to finish at least 10 items, and I thought how ridiculous that is! I still have 3 more weeks of the year left. There’ll be one more update before the final reveal of everything that I have used up. I am hopeful that I will reach my goal of 10, and look forward to doing another project pan in the future. Have a great Monday and I’ll see you in my next post! Hello lovelies! I got today’s post idea from Ashley Elizabeth on YouTube. I’ll link her channel down below. She doesn’t know me, she has no idea who I am and doesn’t know that I’m doing this post. Disclaimer: I would say if you’re under the age of 18 some of her videos would be considered inappropriate for your viewing, and there is also some language that some may not appreciate. The one thing that I love about her is how she says whatever she is feeling and just doesn’t care what everyone else is saying or doing. The idea of a Project Pan is to use what you have. These can be products that you’ve had for a couple of years or just sick of having around but don’t want them to go to waste. You choose at least 10 products, decide how many products you want to finish and set a time frame. For products that you may have a full container of, it may be a good idea to set a goal of getting through half of it. It’s also a good idea to mark where the product is at the very beginning. I’ve decided to do this to get some use out of my products, and I’m finding myself wanting to purchase new items. I have a limited amount of space for everything and this is my way for creating space for new things. I’ve been on a no buy essentially the last few months but I haven’t exactly been using what I have. I’m going to continue my no buy through the next few months, with the exception of a few items that I will need. 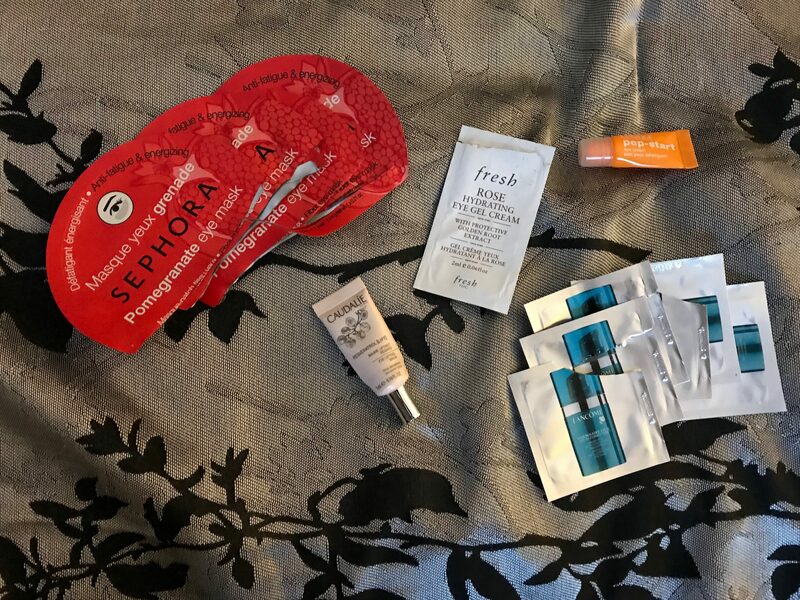 I do also receive the Sephora Play! box monthly, so those will also be new products that I will be receiving. Since this is my first go at this Project Pan and I am giving myself a longer time frame than most people would probably choose. I’ve chosen 15 products to go through starting today August 5th, and I’m giving myself until December 5th to use up or hit pan on at least 10 products. I will give an update every month to track my progress. Most of these products I have had for about 2 years or longer. I know not the most sanitary but these things haven’t gone bad yet. I also realized that quite a few are hard to track how much is left and the rest I’ve marked. Rimmel Soft Kohl Eye Pencil- 2+ yrs, needs to be done! Those are my products that I hope to use up in the next few months. I’ll update you all on my progress in a month. I hope to use up at least 10 of these by December 5th. Some of these are definitely easier than others, but it’s time to use these up and move on to other things. If you decide to do this, let me know! I’d love to see what products you include in yours. Have a great weekend!